Wolfe, James (1727-1759), army officer, was born at the vicarage, Westerham, Kent, on 2 January 1727, the elder of two sons of Lieutenant-General Edward Wolfe (1685-1759) and his wife, Henrietta (d. 1764), the daughter of Edward Thompson of Long Marston, Yorkshire. He was born into a family of professional soldiers. His great-grandfather is traditionally said to have been a Catholic officer named George Woulfe, who helped to defend Limerick in 1651. It is, however, much more likely that he was actually descended from a parliamentarian officer, Lieutenant-Colonel Edward Wolfe, of Henry Ireton's regiment, who died at Youghal in 1649. Although James's grandfather, also named Edward, served in the Irish regiment of foot guards, until dismissed in a purge of protestant officers, he evidently came from Yorkshire, for James's father, Lieutenant-General Edward Wolfe, was certainly born in York in 1685 and married Henrietta Thompson there in 1724. First commissioned as a second lieutenant of marines on 10 March 1702, Edward Wolfe was appointed major of Sir Richard Temple's foot just eight years later, on 24 April 1710, and then a captain and lieutenant-colonel in the 3rd (Scots) foot guards, on 10 July 1717. Notwithstanding his being dismissed by Ernest Marsh Lloyd in the Dictionary of National Biography as having 'no great force of character', this achievement argues for some considerable ability and easily bears comparison with his son's early career. More than twenty years of peace followed but in 1739 he received command of the newly raised 1st marines and was subsequently appointed adjutant-general of an expeditionary force sent to Carthagena in 1740. He then received the colonelcy of the 8th foot on 25 April 1745 and was successively promoted major general on 27 May 1745 and then lieutenant general on 20 September 1747. He died just six months before his son, on 26 March 1759. Unsurprisingly it was assumed from the outset that James Wolfe also would be a soldier. In 1740 Wolfe accompanied his father to the Isle of Wight. Ostensibly he was to serve as a volunteer but when the Carthagena expedition finally sailed James was set ashore and left behind. Nevertheless he was eventually commissioned second lieutenant in his father's 1st marines, on 3 November 1741. As the regiment was still in the West Indies, Wolfe remained at home until his exchange into Colonel Scipio Duroure's 12th foot, on 27 March 1742. This exchange had probably been arranged some time earlier, since Duroure's predecessor in command of the 12th foot, Thomas Whetham, had been married to the then Colonel Edward Wolfe's sister-in-law. A month after James joined the regiment the 12th foot was ordered to Flanders and he spent the next eight months in quarters at Ghent, learning the rudiments of his profession. It appears to have been a lonely time, for he was much younger than most of his fellow officers, but his keenness evidently impressed his superiors, for when the 12th foot marched into Germany in the following year he was appointed acting adjutant-an important post with considerable responsibility for regimental administration, discipline, and training. He and his younger brother, Edward (b. 1728), who also had been commissioned in the 12th foot, saw action for the first time in the battle of Dettingen on 27 June 1743. There he and the regiment's acting commander, Major John Cossley, 'were employed in begging and ordering the men not to fire at too great a distance, but to keep it until the enemy should come near us, but to little purpose'. Wolfe also had a borrowed horse shot from under him during the battle and afterwards was prostrated for some days 'very much out of order' with what may have been exhaustion but was more likely a form of post-traumatic stress syndrome. At the same time, however, he came to the notice of William Augustus, duke of Cumberland, and 'had several times the honour of speaking with him just as the battle began' (Life and Letters, 21 June 1743). This meeting was significant, for Wolfe's subsequent rapid promotion was facilitated to a remarkable degree by Cumberland's active patronage. On 13 July 1743 he was confirmed adjutant of the 12th foot and promoted to a vacant lieutenancy in the same regiment the next day. Little more than a year later he transferred to the 4th foot as a captain, on 23 June 1744. The subsequent campaign in Flanders under the aged and ineffective Field Marshal George Wade proved a frustrating experience, and in October of that year Wolfe's brother died, apparently from tuberculosis. Misled by optimistic reports as to Edward's condition, Wolfe arrived at his bedside too late but afterwards wrote an extremely moving letter to his parents. On 12 June of the following year, however, Cumberland, now in command of the allied forces, signed Wolfe's commission as major of brigade in Flanders. He held this responsible staff appointment for the next three years. Having missed the battle of Fontenoy, Wolfe was suddenly ordered home when the Jacobite rising broke out in Scotland. Following Sir John Cope's defeat at Prestonpans on 21 September eight battalions, led by William Anne Keppel, second earl of Albemarle, were ordered from Flanders to Newcastle upon Tyne. Sailing on 13 October the convoy was scattered by a gale, but Wolfe had certainly reached Newcastle by the beginning of November, where initially he was once again assigned to the army of Field Marshal Wade. Once again it was a frustrating experience, for the old man signally failed both to prevent the rebel incursion into England and to co-operate effectively with other government forces. To the relief of all concerned, eventually Wade was superseded by Lieutenant General Henry Hawley, and the army moved up to Edinburgh at the end of December 1745. Wolfe's personal role in the battle of Falkirk on 17 January 1746 is unclear but in a letter written three days later he stoutly rebutted popular reports of a disaster and insisted that 'we are now making all necessary preparations to try once more to put an end to this rebellion' (Life and Letters, 20 Jan 1746). As part of those preparations the duke of Cumberland assumed command on 30 January, and Wolfe was appointed to General Hawley's staff as an extra aide-de-camp. While serving as such he was involved in an odd little incident at Aberdeen, when his general confiscated the household goods of their involuntary host, a Mrs Gordon of Halhead. As Mrs Gordon's husband was serving in a rebel cavalry unit at the time there was some slight justification for doing so but the incident is perhaps notable for affording the earliest known impression of Wolfe by an outsider-the somewhat partisan Mrs Gordon finding him rude, facetious, and high-handed. On 16 April 1746 Wolfe took part in the battle of Culloden Moor and, as Hawley's aide-de-camp, would have been involved in the flanking march by the cavalry that brought them into the rear of the rebel army. There they halted, and although he said little about it at that time Wolfe was afterwards critical of Hawley's failure to fight his way across a heavily defended re-entrant to complete the victory. Popular legend afterwards associates Wolfe with a well known incident on the battlefield where he was allegedly ordered by Cumberland to shoot a wounded Jacobite officer, Charles Fraser of Inverallochie. On Wolfe's refusing, according to Mr Steuart of Allantoun in an 1802 article published in the Anti-Jacobin Review, he 'from that day declined in the duke's favour' (Forbes, 3.56). However, the original version of the story, as related by a local minister named James Hay, merely refers to 'one officer of distinction and then another' (ibid.) being ordered to shoot Inverallochie, and it is unlikely that the young Wolfe would then have been included among their number. His much later transformation into the principal actor in the story may in fact be related to the fact that a Highland regiment (Fraser's 78th foot) largely commanded by former Jacobites, including Inverallochie's son, later served under him at Quebec. After Culloden, Wolfe served on in Scotland, initially on the staff and later with his company of the 4th foot at Inversnaid, until recalled to Flanders in late November. Granted six weeks' leave first, he entered into negotiations to buy out Major Thomas Lacy of the 33rd foot, and although the promotion was recorded in the relevant commission and notification books as taking effect from 5 February 1747 it ultimately proved abortive, probably because Wolfe's father was unable to advance him the money. This was doubly unfortunate, for on 9 May Cumberland-apparently assuming that the purchase was still to proceed-recommended that Wolfe should also be allowed to purchase the vacant lieutenant-colonelcy of his father's 8th foot. However, without having first obtained the substantive regimental rank of major he was unable to do so and consequently returned to the continent still a captain. 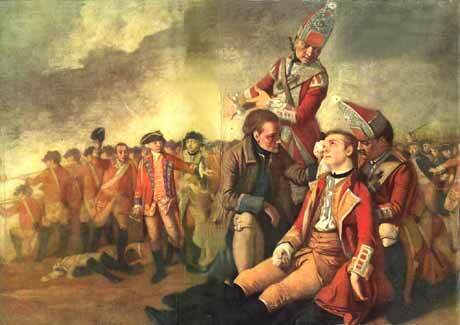 There he served as major of brigade to Sir John Mordaunt and was badly wounded at the battle of Laffeldt on 21 June. Shot through the body, he was first taken to hospital, then returned home until the following March, when he was appointed major of brigade to Major-General Thomas Fowke. Unfortunately this scheme also failed but, as a result of some equally complicated manoeuvring by Cumberland, Wolfe eventually became major of Lord George Sackville's 20th foot, on 5 January 1749. At the same time the regiment's lieutenant colonel, Edward Cornwallis, was posted to Nova Scotia in the expectation that he would soon succeed the dying Richard Phillips as colonel of the 40th foot. As a result Wolfe was at once placed in day-to-day command of the 20th foot, with the imminent prospect of becoming lieutenant colonel, without purchase, in succession to Edward Cornwallis. Wolfe, however, was far from satisfied. The regiment was then stationed in Glasgow and as the only field officer actually on duty with the regiment he was forbidden to take any leave. Consequently he complained to his old friend William Rickson: 'I am by no means ambitious of command when that command obliges me to reside far from my own, surrounded either with flatterers or spies and in a country not at all to my taste'. In the event Cornwallis did not succeed Phillips until over a year later and by that time George Keppel, Viscount Bury, had replaced Sackville as colonel of the 20th foot. Initially relations between Wolfe and his new colonel were far from cordial and there was some uncertainty as to whether he would indeed become lieutenant colonel of the regiment, but at the determined instigation of his patron, Cumberland, he was promoted on 20 March 1750. Notwithstanding the fact that there were now two field officers with the regiment Wolfe was still denied leave. Although he complained that he only wanted the opportunity to study abroad he also had considerable personal problems at this time. While recovering from his Laffeldt wound late in 1747 he met Elizabeth Lawson, a niece of his brigade commander, Sir John Mordaunt, but his parents disapproved of the match and during his enforced absence in Scotland she lost interest in him. Wolfe evidently had some difficulty in accepting this fact and when he finally obtained leave in November 1750 he had a serious falling out with his parents, was decisively rejected by the lady, and proceeded to drown his sorrows in a prolonged bout of dissipation. As he related to Rickson: 'I committed more imprudent acts than in all my life before. I lived in the idlest, dissolute, abandoned manner that could be conceived, and that not out of vice, which is the most extraordinary part of it' . Reconciled at the end of it with his parents, he returned to Scotland in April 1751, this time serving in the highlands, where he revisited the battlefield of Culloden, developed a taste for deerstalking, seems to have been bemused by meeting several Jacobite families on civil if not cordial terms, and failed to capture a noted Jacobite fugitive, Euan Macpherson of Cluny. Nevertheless he was still anxious to go abroad in order to complete his military education but in the following year his leave was again confined to Great Britain, a restriction that he interpreted as broadly as he dared by visiting his uncle Major Walter Wolfe in Dublin. There he also met the unnamed widow of an officer who had been killed at Fontenoy, and the close nature of their relationship is evident from the fact that she would later be lampooned by George Townshend as Wolfe's 'Irish Venus'. In October 1752 he was at last allowed to travel to Paris, where Lord Bury's father, the earl of Albemarle, was British ambassador. However, his hopes of visiting the various continental armies in the summer were dashed by the illness and sudden death of Major Thomas Hart in March 1753. Bury was extremely apologetic about recalling Wolfe to take charge of the 20th Regiment, for he, like many other of his contemporaries, had developed a considerable respect for Wolfe's abilities and the efficient way in which he was running the regiment. In fact a compilation of Wolfe's regimental orders from this period, proudly cherished by the Lancashire Fusiliers, would be posthumously published as General Wolfe's Instructions to Young Officers (1768; 2nd edn, 1780). Those tactical instructions that he prepared for the use of the regiment, in anticipation of a French invasion, in December 1755 are particularly interesting but in the longer term his improvements to both firing and bayonet drills were to be of far greater significance. 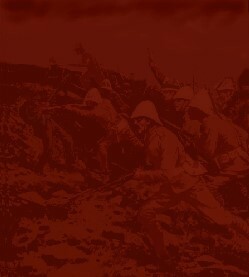 At this time the British army employed a technique known as platoon firing, or platooning, whereby an infantry battalion was told off into a number of ad hoc platoons at the outset of an engagement. These platoons then fired in a carefully choreographed sequence so devised to ensure, in theory at least, that a constant fire was maintained upon the enemy. 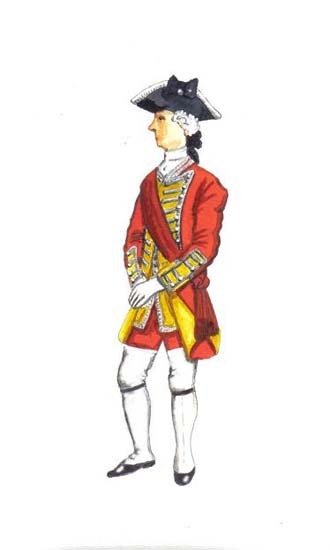 Practical experience in the 1740s, and particularly during the Jacobite rising, had revealed a number of shortcomings with the technique, and when in de facto command of the 20th foot Wolfe introduced a much simpler alternate system, based on Prussian practice. At the same time he also replaced the original bayonet drill, which had been based on pike-handling techniques of 100 years earlier. Instead of levelling the bayonet shoulder high, as illustrated in David Morier's well-known painting of Culloden, he directed it to be levelled at the hip, in the Prussian manner, thus converting it from a defensive to an offensive weapon. Noting an interest by French writers in mounting column attacks he proposed countering them with massed battalion volleys followed by an immediate bayonet charge-a technique that he was to employ with spectacular effect at Quebec in 1759. The earliest illustrations of Wolfe's bayonet drill and other reforms, as practised by his own 67th foot and that of his protégé Charles Lennox, third duke of Richmond-the 72nd foot-are published without acknowledgement in William Windham's A Plan of Discipline, Composed for the Use of the Militia of the County of Norfolk (1759 and numerous subsequent editions). Wolfe's alternate firing and bayonet drill was subsequently incorporated in the official 1764 regulations and thus provided the foundation of British infantry tactics in the American War of Independence and into the Napoleonic wars as well. 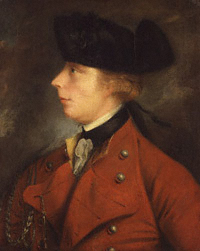 Nevertheless though Wolfe's improvements were eagerly embraced by the younger generation of officers they incurred the considerable displeasure of the duke of Cumberland. Obsessed with the entirely laudable aim of enforcing a uniform system of drill in the army the duke was firmly opposed to innovations in this field, and in 1757 actually issued a general order deploring the fact that the official regulations 'are changed according to the Whim & Supposed Improvements of every fertile Genius.' While these orders were particularly directed to Sir John Mordaunt there is no doubt that the 'fertile Genius' complained of was the duke's former protégé James Wolfe. Wolfe had been declining in Cumberland's favour for some time, not because of that apocryphal incident on Culloden Moor but as a result of his constant importuning to be allowed to take leave. Having been at some pains to place Wolfe in charge of a battalion the duke was understandably upset by his eagerness to get away from it, and moreover Wolfe also appears to have been somewhat indiscreet in his expressions of frustration and disappointment. Consequently his hopes of succeeding to the colonelcy of the 20th foot when it successively became vacant in April 1755 and May 1756 were also disappointed but on 29 March 1757 he accepted the post of Quartermaster General in Ireland. This was a sinecure in the gift of the lord lieutenant, John Russell, fourth duke of Bedford, and quite outside Cumberland's sphere of influence. It was also, as Wolfe candidly admitted to his father, 'quite out of the course of my practise' (Life and Letters, 6 Feb 1757) but he hoped thereby to obtain the rank of full colonel that normally went with it. This, however, was refused on account of his youth; instead he was taken onto the staff of Sir John Mordaunt, who was then preparing an expeditionary force for a heavy raid on the French coast, aimed at seizing Rochefort. This provided Wolfe with an opportunity to spread his radical tactical theories, which were enthusiastically taken up by the officers assembled for the expedition. It was news of this that prompted Cumberland's letter of rebuke, but Wolfe's career did not suffer thereby, for the duke himself was under a cloud. Having been defeated by the French at Hastenbeck, outside Hameln, on 26 July he surrendered a week later at Kloster Zeven and was compelled by George II to resign as Captain General on 14 October. In the meantime the Rochefort expedition had sailed on 6 September, but although a landing was successfully effected on the Île d'Aix on 23 September the operation then collapsed in a welter of indecision. Wolfe returned, disgusted, but remarked to Rickson: 'I am not sorry that I went, notwithstanding what has happened; one may always pick up something useful from amongst the most fatal errors.' He then proceeded to set out an extremely constructive critique of combined operations, and there is no doubt that the experience did indeed serve him well in his own operations against Quebec. Like the future duke of Wellington in the 1794 campaign he had 'learned what not to do'. Rather more encouragingly he emerged from the inquiry into the Rochefort fiasco with some credit and, just a week after Sir John Ligonier succeeded Cumberland as commander-in-chief, he at last obtained the brevet rank of colonel, on 21 October 1757, which, as he wrote to his father, 'at this time is more to be prized than any other, because it carries with it a favourable appearance as to my conduct upon this late expedition.' What was more, at the same time he also received command of the 2nd battalion of the 20th Foot, and his colonel's rank became substantive six months later, when the battalion became the 67th foot on 21 April 1758. As a further mark of Ligonier's confidence Wolfe had also been granted a local commission as brigadier general in North America, on 23 January 1758. Although this meant that he had to relinquish his post as Quartermaster General in Ireland he looked forward to service in America with some enthusiasm. He was in fact to be one of three brigadiers serving under Major General Jeffrey Amherst in an expeditionary force intended to capture the fortress of Louisburg on Cape Breton Island. As usual Wolfe found much to criticise both in the preparations and in his colleagues, and rather characteristically he and the senior brigadier, Charles Lawrence, had no compunction in sailing from Halifax without waiting for Amherst. He for his part was understandably surprised to arrive there just in time to meet the fleet coming out of the harbour but lost no time in insisting that the landing should take place at Gabarus Bay, just to the south of Louisburg, in spite of Wolfe's advice. Nevertheless Wolfe greatly distinguished himself during the landing on 8 June. His 'division' comprised twelve companies of grenadiers, a battalion assembled from light infantry and New England rangers, and Simon Fraser's 78th Highlanders. On approaching the designated landing place at Freshwater Cove, Wolfe's boats came under heavy fire and initially it appeared that the operation would have to be aborted. Then a section of the light infantry got ashore in some dead ground; Wolfe followed and with just a cane in his hand led a bayonet charge that rolled up the flank of the French defences. British losses amounted to forty-six killed and fifty-nine wounded-most of them drowned when their boats were sunk-but the result was that the army got ashore and Louisburg was besieged. Wolfe unquestionably enjoyed that siege. Given command of a brigade comprising four companies of grenadiers, three of New England rangers, some light infantry, and detachments from every regiment in the army except the 28th foot, he was ordered to seize the village of L'Orembec and, using it as a base, to approach the town from the east. Having established a battery at Lighthouse Point he first inflicted substantial damage on the French shipping still in the harbour and then commenced operations against the town's Dauphin Gate. Wolfe's reports to Amherst during this period reveal him revelling in what was effectively an independent command. There is a notable absence of the frustration and the chronic grumbling and complaining that characterise so much of his peacetime correspondence. He establishes routines, organises reliefs, raises battery after battery, even persuades the regimental women to help drag the siege guns into position, and throughout it all cheerfully bombards his commander with information and unwanted advice. Even the inevitable setbacks are lightly dismissed and, as he wrote on 20 July, 'notwithstanding such difficulties I shall persevere till we demolish these gentlemen' (Life and Letters, 20 July 1758). Demolish them he did and shortly after Wolfe opened a breach by the Dauphin Gate the French surrendered, on the morning of 27 July. With the town in British hands Wolfe assumed that Amherst would move at once on Quebec. In this, however, he was to be intensely disappointed, for even if Amherst had been a more dynamic commander it was too late in the year to commence operations up the St Lawrence. In any case news arrived almost at once of a disaster on the New York frontier, where General James Abercromby had been badly beaten by the French at Ticonderoga. On learning of this Wolfe initially volunteered to take a brigade to New York but just as abruptly changed his mind and was then disgusted to be sent off instead on what he regarded as a pointless raid on Gaspé at the mouth of the St Lawrence. In the meantime, however, Amherst had himself sailed for New York and, taking advantage of his departure, Wolfe absconded for home. Wolfe's correspondence reveals that he had some hopes of serving in Europe under his old colonel, Lord George Sackville, and was no sooner landed at Portsmouth than he was soliciting Ligonier for a command in Germany and going so far as to express a preference for service in the cavalry, for, as he told his friend Rickson, 'if my poor talent was consulted, they would place me in the cavalry, because nature has given me good eyes, and a warmth of temper to follow the first impressions.' Ligonier, on the other hand, was less than impressed by Wolfe's unauthorised reappearance in England and coldly advised him that there was no suitable employment for him in Germany. However, when Sir John then softened this blow by inviting him up to London in order to brief both himself and the secretary of state, William Pitt, on the situation in North America, Wolfe displayed considerable ruthlessness in engineering his own appointment to 'the River Command'-the expedition that was to take Quebec. He certainly lost no time in artlessly declaring to Pitt: 'I have no objection to serving in America, and particularly in the river St Lawrence, if any operations are to be carried on there.' In reality he knew full well that just such an operation was intended, and, while his earlier attempt to steal a march on Amherst during the Louisburg expedition had been foiled at the last moment, this time he was entirely successful. In a rather disingenuous letter he told Amherst that he had merely been advised of the projected military operations in broad terms. Indeed, although told it was intended to mount simultaneous attacks on Canada by way of Lake George and up the St Lawrence, he had expressed a preference for going up the river but asked to be 'excused from taking the chief direction of such a weighty enterprise.' This statement was pure humbug, for Wolfe's formal appointment as a major general in North America was officially gazetted the next day, 30 December. What was more, far from discussing the expedition in only general terms he had in fact been involved in some very detailed planning, particularly in the matter of deciding just how many troops would be required and where they were to come from. Early in the new year he also began putting his staff together and, as was then customary, very largely had a free hand in appointing his own friends and protégés to positions of importance. A childhood friend, Colonel George Warde, declined his invitation to serve as Adjutant General (having already obtained a more prestigious posting in Germany), so Wolfe bestowed the job on another friend, Captain Isaac Barre, while Guy Carleton became his Quartermaster General. Similarly both of Wolfe's aides-de-camp, Hervey Smith and Tom Bell, had worked with him before and he was also able to bestow command of two regular light infantry units on William Delaune, of his own 67th foot, and an American acquaintance named John Carden. He was less successful, however, in the matter of the three brigadiers who were to serve under him at Quebec. Initially he proposed to employ Robert Monckton, James Murray, and Ralph Burton. The first was a rather stolid and unimaginative officer, seemingly picked for his considerable experience of service in North America. Murray on the other hand was an energetic and prickly individual who had clashed with Wolfe in the past. At first sight, though a more than competent subordinate, he might therefore have seemed an odd choice but he was also lieutenant colonel of Amherst's 15th foot and it is hard to avoid the conclusion that his name went forward as a diplomatic sop to the displaced commander-in-chief. Both men were duly appointed but Wolfe's third nomination, an old friend named Ralph Burton, was turned down. To his intense disappointment Colonel George Townshend was foisted upon him instead. This particular appointment was sheer jobbery, for Townshend, although totally lacking in command experience, was both a nephew of the duke of Newcastle and a political ally of William Pitt. Wolfe gave way with a bad grace, and a polite but viciously barbed letter of welcome to his unwanted subordinate. Thereafter the two men were on generally frosty terms, although it is to Townshend that we owe one of the best portraits of Wolfe. Somehow, in the midst of the considerable bustle and preparation for the expedition, Wolfe, snatching a brief period of leave at Bath, renewed a very casual acquaintanceship with Katherine Lowther (d. 1809), sister of the major Cumberland landowner James Lowther, later earl of Lonsdale. By the time he sailed he had proposed and been accepted by her. Unfortunately none of their presumed correspondence survives and it is therefore difficult to reconstruct his motives. It may simply have been a typically hurried pre-embarkation affair but there are odd hints that Wolfe may have been under some pressure from his ailing parents to settle down and marry advantageously-particularly since the mysterious Irish Venus was evidently still very much in the background. Katherine Lowther eventually married Harry Powlett, sixth Duke of Bolton. Wolfe sailed from Spithead on 14 February 1759, arrived at Halifax on 30 April, and was at his jumping-off point, Louisburg, two weeks later. There his troubles began with the news that his father had died on 26 March and that there were considerably fewer troops available than he had been led to believe in London. Instead of the 12,000 men promised he found only 7000 regulars (with 400 officers), 300 gunners, and a battalion of marines. Final preparations for the expedition occupied a further month, but Wolfe sailed at the beginning of June and the first of his troops were set ashore on the Isle de Orléans, just 4 miles downstream from Quebec, on 27 June. The city was situated on a high promontory formed on one side by the River St Lawrence and on the other by the much smaller River St Charles. It could only be approached from the west, and in order to do that Wolfe assumed from the outset that he would have to land his army somewhere along the Beauport shore, on the north or left bank of the river, just below the city. Once this had been done, according to a letter written to his uncle in May, he anticipated 'a smart action at the passage of the river St. Charles, unless we can steal a detachment up the river St. Lawrence, and land them three, four, five miles, or more, above the town' (Life and Letters, 19 May 1759). However, Wolfe now discovered that the French commander, Louis Joseph Montcalm de Saint-Veran, Marquis de Montcalm, had anticipated him and was busily digging in along the whole length of the Beauport shore. Moreover in charting the river the navy now discovered a previously unsuspected rocky shelf in front of the shore that would prevent the larger ships from coming in close enough to provide proper naval gunnery support for a landing. Consequently Wolfe turned his attention to the upper river instead, only to be frustrated by the navy's inability to get ships past Quebec until the night of 18 July. Unsurprisingly this placed him in a very difficult situation, which was not helped by his generally poor relations with his principal subordinates and an unwillingness or even an inability to fully confide in them. As a result major decisions were often taken with inadequate consultation and operations were aborted or delayed without proper explanation. The natural outcome of this unhappy failure in man-management was that Wolfe gained a quite undeserved reputation for dithering and indecision during the Quebec campaign-one that his chronic inability to write coherent reports has done nothing to dispel. What actually happened was that, finding a landing at Beauport impractical, he at once put Monckton's brigade ashore at Beaumont, on the south (or right) bank of the St Lawrence, established batteries at Point Levis that could bombard Quebec itself, and pushed reconnaissance parties beyond it. Townshend's brigade was landed at Montmorency, at the eastern end of the Beauport position, on 9 July, ready to act as a diversionary force. Part of Murray's brigade followed temporarily, and on 16 July, having concentrated all the grenadier companies on the Isle de Orléans, Wolfe concerted an ambitious plan. This involved a very noisy diversionary attack on the Beauport lines by Monckton and Townshend, while Wolfe and the grenadiers effected a landing at St Michel, 3 miles above Quebec. As he explained to Monckton, Wolfe anticipated that the French reserve would be drawn off to deal with this landing but, if it were to remain at Beauport, 'the road is open to us, & we shall fall upon them behind.' In the event the operation had to be postponed until Vice-Admiral Charles Saunders got some of his ships into the upper river, and in the meantime Wolfe, realizing that he was probably spreading his forces too thinly, decided to stake everything on the St Michel landing. Instead of demonstrating against the Beauport lines Monckton was to follow the grenadiers ashore, and if possible Murray's and perhaps some of Townshend's men as well would be brought up on the tide to reinforce them. Then, just as suddenly, the operation was aborted when the French were found to be moving guns into the St Michel area. Wolfe naturally assumed that there must also be a corresponding concentration of French regulars but the abrupt cancellation of the landing made a poor impression on his subordinates. Perhaps hoping that the French were now overstretched he next essayed a reconnaissance in force up the Montmorency River, hoping thereby to turn the eastern end of the Beauport lines. Having failed to secure a crossing point he then launched an actual attack on the lines, just upstream from Montmorency, on 31 July. There is no doubt that it was very badly handled. Initially it was conceived as a heavy raid on a detached redoubt, but in the mistaken belief that the French were in some confusion Wolfe decided to convert it into a full-dress assault. Unfortunately in order to effect the initial amphibious assault the operation had been launched at high tide but it was then necessary to wait for low tide in order to bring Murray's and Townshend's brigades across the Montmorency ford. As a result the attack was not set in motion until late in the afternoon and then failed badly. Utterly frustrated, Wolfe sent Murray up the river in a vain attempt to make contact with Amherst, employed his rangers and light infantry in devastating the French settlements along the St Lawrence, and finally took to his bed on 19 August. Although a variety of physical symptoms were presented there can be little doubt that the underlying cause was a nervous collapse. Indeed by 28 August he was reduced to formally consulting his brigadiers on a series of options for a renewed attack on the Beauport lines. They, for their part, rejected his proposals and politely advocated a landing at Pointe aux Trembles, some 20 miles above Quebec. Lacking both the physical and moral strength to assert himself, Wolfe reluctantly agreed and let Townshend work out the operational details. Quebec surrendered five days after Wolfe had been killed, precipitating the ultimate fall of Canada and providing a most dramatic end to Wolfe's career. It was all the more dramatic for the fact that news of the victory arrived in Britain just a few days after a very despondent report that Wolfe had written to the secretary of state, Robert D'Arcy, fourth Earl of Holdernesse, on 2 September, which to all appearances prefigured the total failure of the expedition. Instead, as Horace Walpole exclaimed, 'What a scene! An army in the night dragging itself up a precipice by stumps of trees to assault a town and attack an enemy strongly entrenched and double in numbers!' The initial impression that this sensational coup de théâtre created in the public consciousness was reinforced by several other factors, the chief of which of course was the accompanying news that the victorious commander had perished heroically in the very moment of his triumph. And Fame, triumphing over Death, with this Motto: He never can be lost, who saves His Country.' Untimely as it was Wolfe's death undoubtedly protected his posthumous reputation and forestalled the very public rows predicted on the army's return from Canada. Notwithstanding his undoubted technical ability and his ultimate responsibility for victory in the face of tremendous adversity the Quebec campaign had revealed serious deficiencies in his man-management. These failings might have become even more apparent had he lived to serve in the American War of Independence, particularly in the light of his robust attitude towards civilians in general and his often unguarded antipathy towards Americans. A hagiography, however, was unnecessary, for in 1764 Edward Penny, a competent but undistinguished portraitist, produced a meticulously accurate but essentially dull composition of the hero's final moments. Six years later Benjamin West improved upon Penny with a much looser but artistically quite magnificent Death of Wolfe. Depicting the dying general in a posture deliberately reminiscent of classical images of Christ taken down from the cross, it was and remains an immensely powerful imperial icon. Nevertheless, though Wolfe is thus popularly immortalized as the conqueror of Canada his greatest legacy to the British army that he loved may have been the volley and bayonet tactics that it took to Waterloo. His "Blue Plaque" is on McCartney House in Greenwich Park and he is buried at St Alfeges in Greenwich main street . I have attached a picture of what I reckon the General looked like when he was out and about in Greenwich in the 18th Century . This is his sort of Sunday best that he would have worn when he attended St Alfeges, maybe . It differs from the well known images of him in plain red coat and "top" boots .